Promotional gifts are effective marketing tools that small businesses can use to raise visibility for their goods and services. The items are usually small enough that they can be distributed to many consumers without over-extending a marketing budget. However, without effective distribution strategies, giveaways may not help owners increase awareness for their brands. During the holidays, it’s vital that independent companies make the most of their advertisements to attract seasonal shoppers. You should begin advertising soon, but only after considering the various logistics that can help or hinder your marketing efforts. You should seek to make optimal use of your promotional items to expand your company’s reach during the holidays. Consumers don’t wait for Thanksgiving to end before they start their holiday shopping. Some customers want to check off everyone’s wish list early and then enjoy the rest of the season by relaxing with their family and friends. Stores should market to early birds because the buzz those shoppers generate can last all season long. Owners can give small gifts to eager customers who usually enjoy receiving free goods, especially those with holiday imagery. Something as simple as a promotional pen with a snowman on the cap can have a positive impact on a consumer’s satisfaction, which can lead to positive reviews. Giving away unique promotional products early in the season is only a start and businesses can’t stop marketing themselves during the holidays. Customers may be swayed by newer campaigns and start spending money elsewhere. You shouldn’t limit yourself to one line of giveaways, as offering multiple promotions can motivate shoppers to return frequently between Thanksgiving and December’s holidays. For example, if you offer free chocolates during one sale and then distribute umbrellas during a second promotion, patrons may come back to obtain the second gift. 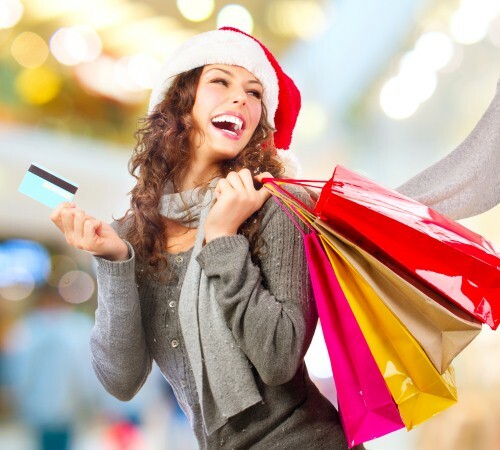 Consumers are more willing to spend over the holidays than they are during the rest of the year. Businesses can’t afford to limit their marketing campaigns to small periods, because competitors likely won’t stop their marketing efforts. While customers usually appreciate any free goods, they prefer some items to others. Businesses should only distribute giveaways that have been proven popular in the past or have been requested by consumers. Pens, wall calendars, USB drives and key rings are traditionally fan-favorite promotional giveaways because they all have everyday utilities. Holiday shopping is a financial strain for many and leaves clients without enough money to buy the functional goods they need on a regular basis. On the other hand, there are some gifts that your customers may only want during the holiday season. For instance, a promotional mug for hot chocolate may not be as well-received in August as it would be in December. To develop a better understanding of what consumers want, a small business owner can pay attention to what products large chains are giving away. While copying a marketing strategy step-by-step isn’t necessarily the best idea, independent startups can learn from industry leaders. While the holiday season lasts approximately two months, small businesses shouldn’t think short-term. Companies should distribute gifts that can are functional all year long, so customers will hold onto the advertisements. General gifts, like tote bags and water bottles, that consumers don’t think of buying for themselves are usually appreciated and kept for long periods of time. The longer your customers hold onto your gifts, the more brand awareness your promotional items generate, which can help you turn holiday successes into sustainable growth.